Influencer marketing is a growing thing for the basic reason that it works and it is affordable. Sara Ware at Markerly wrote a blog using data to show the dollar return on micro influencer marketing where specific audiences are targeted. The smaller the influencer, the higher the rate of percentage. Ware then gives the example of how Dixie products created a modest $10,000 marketing campaign for Dixie’s QuickTakes and ended up earning $1 million in media value with a reach of 77 million, and is still growing. We also discuss the decision by Twitter to stop Dataminr from providing services to U.S. intelligence agencies trying to sniff out the next terrorist attack and whether there are any parallels with the FBI trying to force Apple to break its iOS system to get data from the San Bernardino attackers. Need to Increase Your Response? Whether you’re creating a Facebook Ad, sending emails to your past clients, writing a blog post, or even publishing a YouTube video, this free report will show you how to get better results from your efforts… just by changing the words you use! 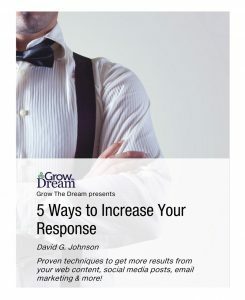 Download your free copy of 5 Ways to Increase Your Response today! Instagram rolls out a brand new visual identity and an update to its UI. Here’s the Medium post announcing the changes. Dropbox makes a change to the way that shared links work. Here’s the announcement… hosted on Dropbox, of course! Need a faster WordPress site? 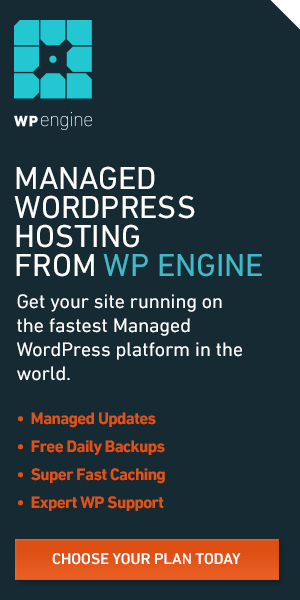 Check out WP Engine today and enjoy the benefits of the fastest managed WordPress hosting on the planet. Plans start at only $29 per month, and include free daily backups, managed updates, expert WordPress support, and quite possibly the easiest automated process for moving your WordPress site in the history of WordPress! We’d like to thank WP Engine for their support of Grow The Dream Show! 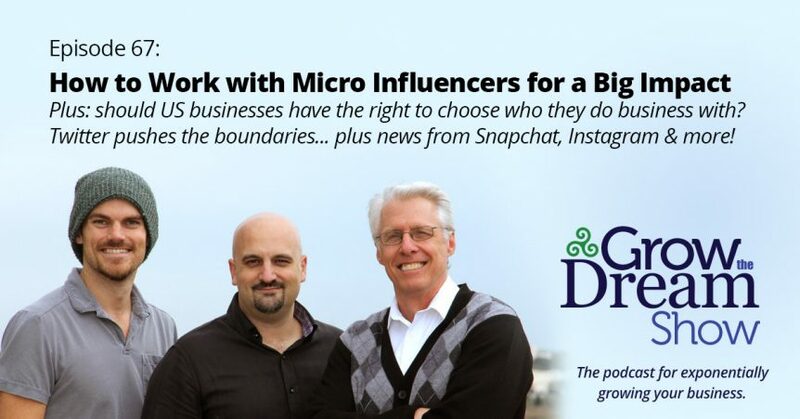 Should you consider using “micro influencers” instead of trying to work only with those who have enormous followings? Sarah Ware from Markerly shares data collected during their efforts with micro influencers and reveals some compelling reasons why you might actually prefer working with influencers who have smaller followings. The Wall Street Journal reports that Twitter has cut off US intelligence agencies from access to insights collected by Dataminr. Reactions include outrage that Twitter might be enabling terrorists while simultaneously harming efforts to combat them. Twitter claims that it has “never authorized” the sale of its data to government intelligence agencies, although according to TechCrunch, Dataminr was in an unpaid pilot with US intelligence agencies when the announcement was made. The story raises the question: should US companies be permitted to decide who they count among their customers? What will the response from the US Government be? Our show today is brought to you in part by Hootsuite. Manage all your social networks in one place — whether you’re doing it as an individual or as a team — and schedule your posts, track critical metrics, and gain access to big-business tools… all on a small business budget! 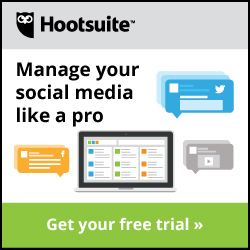 Click here to check out Hootsuite today, and give Hootsuite Pro a spin absolutely free for 30 days. Video for this episode is coming soon. Watch this space for updates!